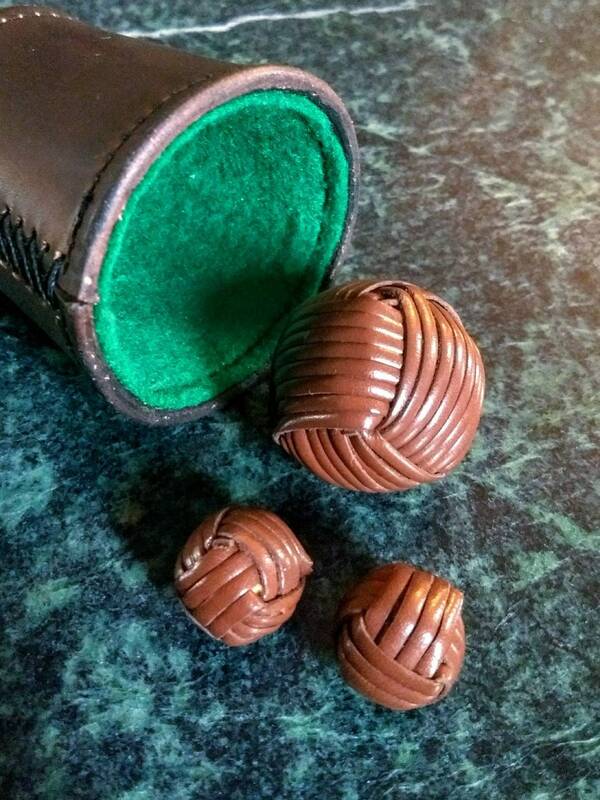 Leather balls for chop cup or cups and balls. Genuine calf skin leather lace. Cork core on 3/4 inch (19 mm) or 1 inch (25 mm) sizes, wood core on larger sizes. These are measured by the size of the core- actual outer dimension will be slightly larger by 1/8 to 3/16 inches. ***Please make sure to choose regular or magnetic for each ball when purchasing more than 1 ball. Magnetic balls are only available in 3/4 and 1 inch sizes.